This is an explanation manual for operators. Basic operation, precautions for safety, and correct and safe usage of TM-T20II-i are described. The technical information for system development and application development using TM-T20II-i is offered. This is an explanation manual for operators. Basic operation, precautions for safety, and correct and safe usage of TM-T70-i are described. The technical information for system development and application development using TM-T70-i is offered. TM-i Firmware is the software incorporated in the TM-i printer for performing basic control. There are differences in function depending on the version. When you upgrade the TM-i Firmware for the TM-T70-i to Ver.4.0 or later, ePOS-Device functions can be used. Registration / Login is required. This is an explanation manual for operators. Basic operation, precautions for safety, and correct and safe usage of TM-T83II-i are described. The technical information for system development and application development using TM-T83II-i is offered. This is an explanation manual for operators. Basic operation, precautions for safety, and correct and safe usage of TM-T82II-i are described. The technical information for system development and application development using TM-T82II-i is offered. This is an explanation manual for operators. Basic operation, precautions for safety, and correct and safe usage of TM-T88V-i are described. The technical information for system development and application development using TM-T88V-i is offered. When you upgrade the TM-i Firmware for the TM-T88V-i to Ver.4.0 or later, ePOS-Device functions can be used. This is an explanation manual for operators. Basic operation, precautions for safety, and correct and safe usage of TM-L90-i are described. The technical information for system development and application development using TM-L90-i is offered. Epson ePOS SDK for Android is the SDK for creating Android application software (native application). 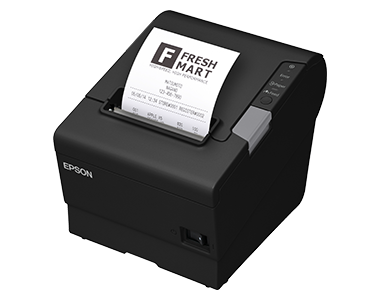 By using Epson ePOS SDK for Android, you can control the printer, TM printer connected to network, or peripherals such as a customer display or a barcode scanner connected to the printer, with simple code. 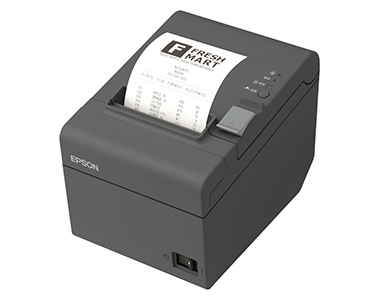 [Note] Epson ePOS SDK for Android is available in the TM-i Firmware Ver.4.0 or later. Epson ePOS SDK for iOS is the SDK for creating iOS application software (native application). By using Epson ePOS SDK for iOS, you can control the printer, TM printer connected to network, or peripherals such as a customer display or a barcode scanner connected to the printer, with simple code. [Note] Epson ePOS SDK for iOS is available in the TM-i Firmware Ver.4.0 or later. Epson ePOS SDK for Universal Windows apps is the SDK for creating Windows 10 application software (native application). 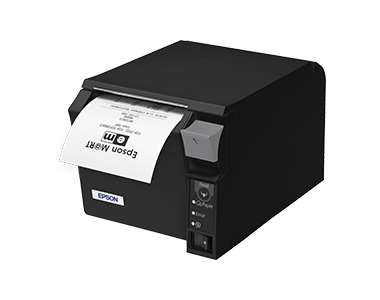 By using Epson ePOS SDK for Universal Windows apps, you can control the printer, TM printer connected to network, or peripherals such as a customer display or a barcode scanner connected to the printer, with simple code. [Note] Epson ePOS SDK for Universal Windows apps is available in the TM-i Firmware Ver.4.0 or later. ePOS-Print is functionality to control POS printers in a multi-platform environment. Using ePOS-Print, data can be directly printed from Web browsers on personal computers, smart phones, or tablet computers to TM intelligent printers.ePOS-Print XML is a POS printer command system that defines the major features of the ESC/POS command system using XML. 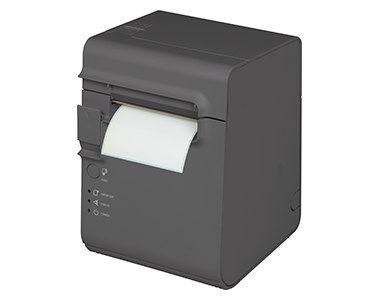 ePOS-Device XML is a command system that defines the function to control various types of POS peripheral devices (including this product's printer) connected to TM-Intellignet printer using XML. Application in devices such as personal computers, smartphones, and tablet computers creates a request message in XML format and send it to TM-Intellignet printer series using socket communication. [Note] ePOS-Device XML is available in the TM-i Firmware Ver.4.0 or later. ePOS-Print is functionality to control POS printers in a multi-platform environment. Using ePOS-Print, data can be directly printed from Web browsers on personal computers, smart phones, or tablet computers to TM intelligent printers. ePOS-Print provides the API for print commands. [Note] ePOS-Print API is available in the TM-i Firmware Ver.3.x or earlier. Server Direct Print function enables the TM-i to obtain the print data from the Web server and print the data. TM-i can be used also for controllable printers in the network. Device Data Notification is a function used to post the data input from the input device that is connected to the TM intelligent printer to the designated URL of the Web server. The Web server application performs device control, such as printing and displaying information on the customer display, by including print data in ePOS-Device XML format and device control into the response to a request from the TM intelligent printer. [Note] Device Data Notification is available in the TM-i Firmware Ver.4.1 or later. Easy Setup is a function that saves the settings for the TM-i series EPSON TMNet WebConfig on USB memory, copying it to a different TM-i. You can perform settings for multiple TM-i devices quickly and efficiently. If you are using a printer that can be controlled (a TM printer connected to a network), you can also perform their network settings at the same time. WebConfig API is an API for setting and referencing the EPSON TMNet WebConfig of the TM-i series. You can use it by including it in your application. This manual provides directions to use this product safely and correctly and simple instructions for installation.